The perfect embodiment of Eastern hospitality and the geniality reflects the interior of the living room. 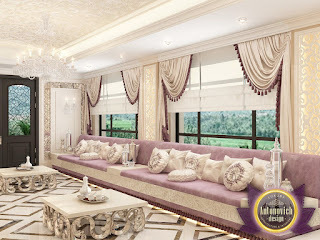 Soft sofas occupy the entire space along the walls. Padding in soft lilac tones nice combined with carved accents milky. 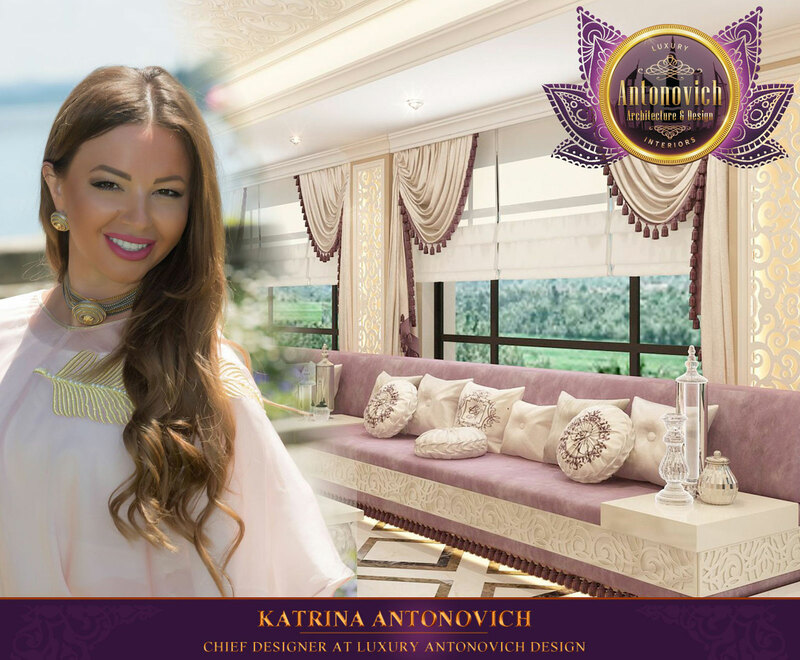 Motives figure carved decoration Katrina Antonovich repeats in the design of the ceiling. 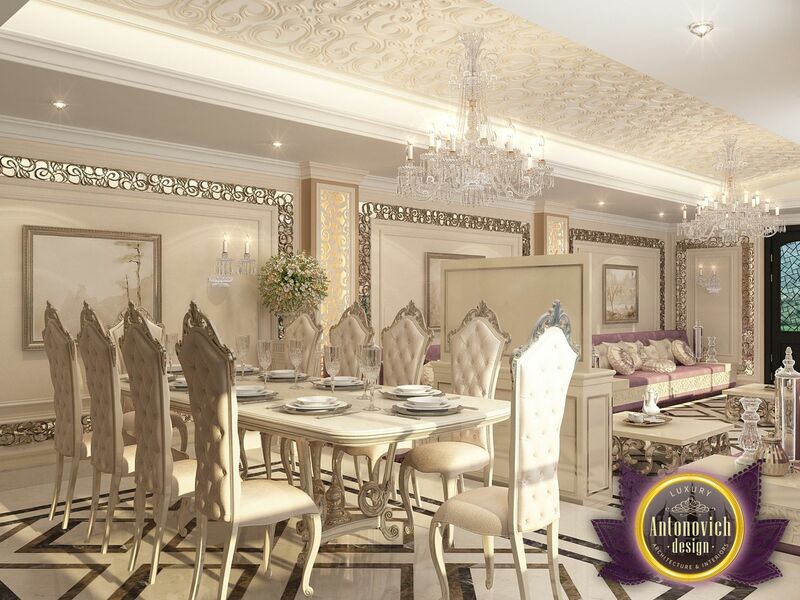 Whorls of the stucco fine chiaroscuro play under the glare crystal chandelier. 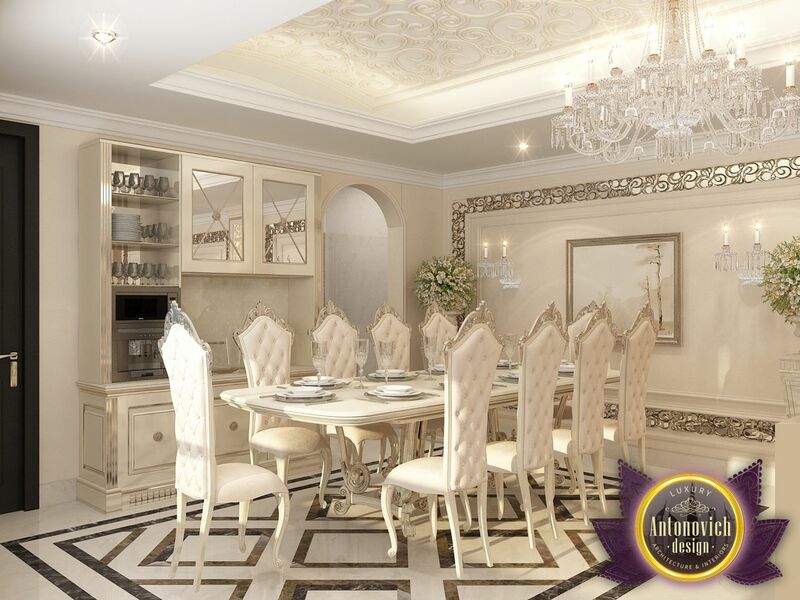 The interior living intertwined motifs of oriental style and classical notes. For the windows designers offer a mix of classic curtains and modern blinds. 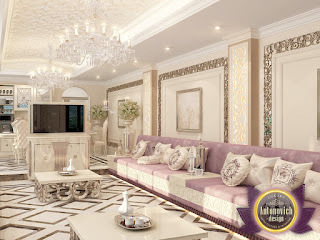 The integrity of the living room interior based on the repetition of lines copyright patterns in the decoration of walls, furniture and ceilings.